The better we understand consumer intent, the better user experience we can deliver to potential customers who find us through PPC and SEO campaigns. Keywords are essentially the unfiltered indicators of intent that we (as search marketers) get to see from consumers. The search engine (usually Google) is the window through which we see this intent. Finding the best keywords for our SEO/SEM campaigns requires some fundamental knowledge about how to write Google Ads effectively and how to best use the technology at our disposal. Technology helps SEM keyword optimization, but that doesn’t mean a decrease in workload. Instead, it gives us time to be more meticulous and better at what we do. If you’re looking to upload a general keyword into Google’s free AdWords Keyword Tool and expect it to spit out the perfect keyword set, you’re mistaken. The job isn’t completed just yet. Even if you have what you think is the right keyword, your ad may likely match to a group of phrases you never really wanted—some can be quite embarrassing. Here are some practices that can help streamline and improve the quality of your keyword research and planning to find best keywords for SEO/SEM campaigns. For the sake of examples below, we’ll use “Andy’s Dog Store” as a fictitious business. Most of your keywords will be implicit and ambiguous. Think of things like “dog store”. Now, the customer may want to buy dog toys, but 9 out of 10 times, they will just search “dog store”. People expect Google to do the work for them and often shorten the phrases they search with, which makes it harder for us to understand intent. These are often short-tail keywords—keywords that have one or two words. For these keywords you’ll want to have a strategy to showcase product options by using sitelinks and other extensions. For the rest of your keywords, you may find them to be explicit. What they may lack in volume can be made up for in relevance. They are often long-tail keywords—keywords that have multiple words. With the growing usage of voice search, keyword phrases are getting longer and longer, which means we get to understand intent much better. A customer may type or speak “durable dog chew toy price”; this tells us exactly what they want, which will help us send them to a customized landing page such as www.andysdogstore.com/dogs/chew-toys/price. This one is simple. Find SEM keywords that have the highest impact and use them within your ad copy and your landing page. This will improve your Quality Score and give you lower CPCs. Impact keywords are typically your biggest spenders and have the potential or already are the most efficient in regard to your goal(s) (e.g., cost-per-sale). That brain of yours has stored terabytes of data. Use it! If you own a store that has everything a dog could ever need, common sense would tell you to buy keywords such as: “dog store”, “dog food”, etc. HOWEVER … Sometimes common sense can fail us and lead to keywords with insufficient volume. Be sure to sense check it using tools that will let you know how many searches particular keywords produce. If you’re drawing a blank on keyword ideas, you can always use an online thesaurus www.thesaurus.com or even right-click a general keyword in Microsoft Word to show synonym options. Whether it’s your business or a client’s, be sure to use existing keyword research, survey data, internal reports, analytics data, etc. to scrub for keywords. There’s no point of letting those go to waste. Anything to help you understand the business and your customers is a good start. Google Trends, will easily help you see if any volume exists for your keyword, how it compares to other keywords, and even some related keywords. No sign up required for this Google keyword research tool! Twitter search, will help you understand the language people use around certain keywords and hashtags to give you some inspiration. Just perform a simple search and read. Free to sign-up! Hashtagify, will help you identify some new keywords and hashtags that are relevant to a general keyword you may have. It’s free! This is where you’re going to spend the majority of your time. This tool will suggest keyword ideas, query volume, cost estimates, and even give you volume by region and device. It’s free to use, but requires the setup of an AdWords account in order to find best keywords. Blockspring has grown to be one of my favorites! It allows you to import multiple plugins into Google Sheets. It’s only $10 a month [March 2019 update: It looks like it’s $29/month now]. One plugin called “import.io” uses “Extract Data from URL” to allow you to scrape any website, including your own, and pull relevant text into an orderly spreadsheet. If www.andysdogstore.com/products has 100 products you need to copy, it’s best you use this tool, else spend hours manually copying and pasting. Free monitoring tools can be limiting, yet there are advanced tools like Sysomos that can give you the nitty gritty details on the social language your customers are using. You may find out your most valuable keyword is missing! This will run you +$500 a month so you’ll want to use this tool for more than just keyword development. If you have robust requirements for monitoring your Facebook or Twitter posts, this tool may be handy for you to find best keywords as an extra bonus. 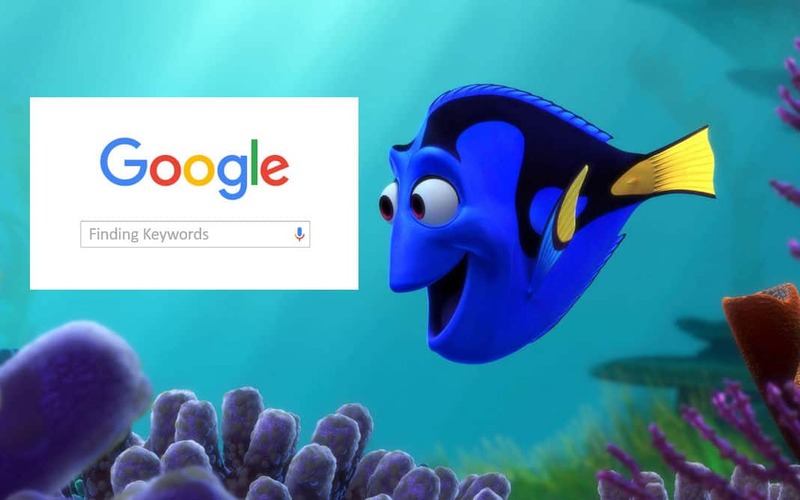 You’re going to come across some keywords you won’t want out of the AdWords Keyword Tool that you use, but that’s ok. Make sure you save them because you’ll use them as negative keywords later. For example, you may get “luxury dog store”, save “luxury”! Andrew’s store isn’t fancy so we’ll want to negative that out so we don’t compete with the other fancier guys. If you buy “dog store”, you could match to “luxury dog store” unless implementing “luxury” as a negative keyword. Even the best paid search marketer isn’t going to pick up on every relevant keyword. That is what the Search Query Report is good for. Google and Bing both have this in one form or another. It allows you to see keywords people have searched that match to your broader keywords. You can filter this list to add negative keywords and new keywords you can then organize into more relevant ad groups/campaigns. Truth is, any paid search platform you use (e.g., Google Ads, Bing Ads) works in spreadsheet format for uploads and downloads. If you use any other document, you could be wasting precious time transferring information. You can also use Google Sheets which is seemingly a cloud-based similar version of Microsoft Excel, yet some functionality differs. ‘SUBSTITUTE()’ > Find and replace certain characters—great for keyword match types! For more detail, tips and tricks, go to www.gcflearnfree.org/excelformulas, it’s free! If you follow these practices, you will start off with a paid search campaign or SEO campaign that will require less maintenance and achieve better efficiency right from the get-go. Even though you may spend more time finding keywords initially for your campaign, it will pay off in the long-run. If you have any other suggestions, please feel free to list them. We’re all about knowledge sharing. Happy keyword research and planning!